Romance is in every detail of this exceptional wedding band. 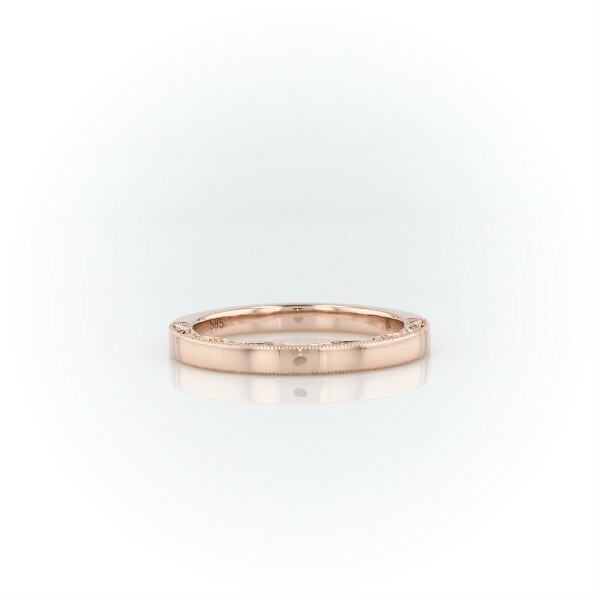 From above, the view is a classic of simplicity, letting the highly polished rose gold shine. But turn for a view of the profile and experience the surprise of elegant milgrain details and sparkling white diamonds.